We need to see the bumpers, grille and headlights future Audi A8, so we show recreation Computer made by our specialist, but Audi has left us see and touch their internals: a frame It aims to increase the comfort to new heights. Of course, with its ASF technology (from "Audi Space Frame"), Combination plates, beams and nodes, although completely revised. And we assume that the main lines of Audi Prologue concept that mark the main lines of the design. Everything is ready to give the start button at the Neckarsulm plant (Germany), where it will occur again Audi A8, its fourth generation, which will reach customers after the summer. There, next to naked bodies of the Audi A8, material specialists and Audi lightweight construction have explained to us how the new car will be so revolutionary that They have had to build a new body shop, a gigantic new building, where they coexist Robots 500 and 500 operators. 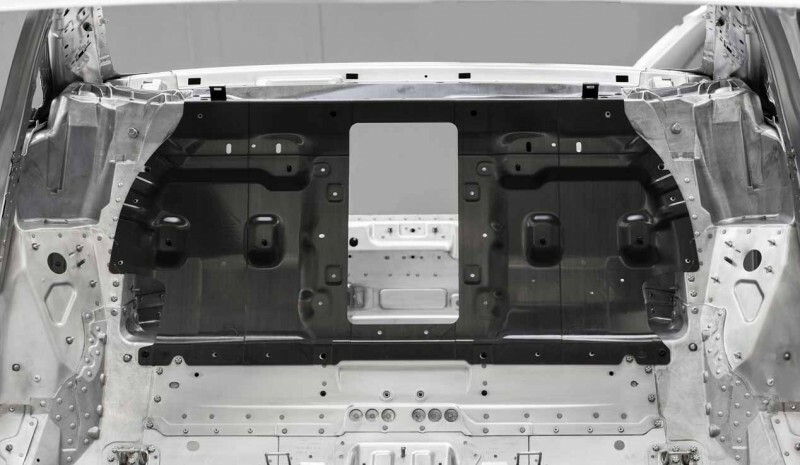 The Audi A8 is still aluminum, but a formal issue: 58 percent of the weight of the frame is aluminum A8. And the rest? 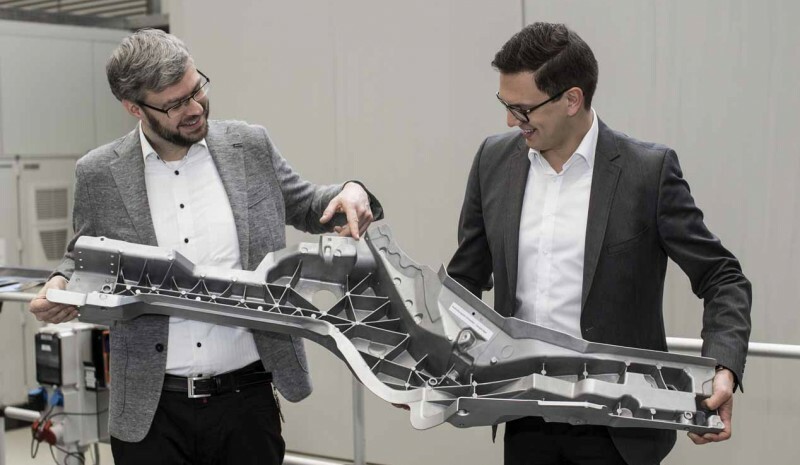 If a B-pillar and steel is placed in the Audi A8 third current generation to improve side impact resistance, the fourth-generation A8 It will take 40 percent of steel. 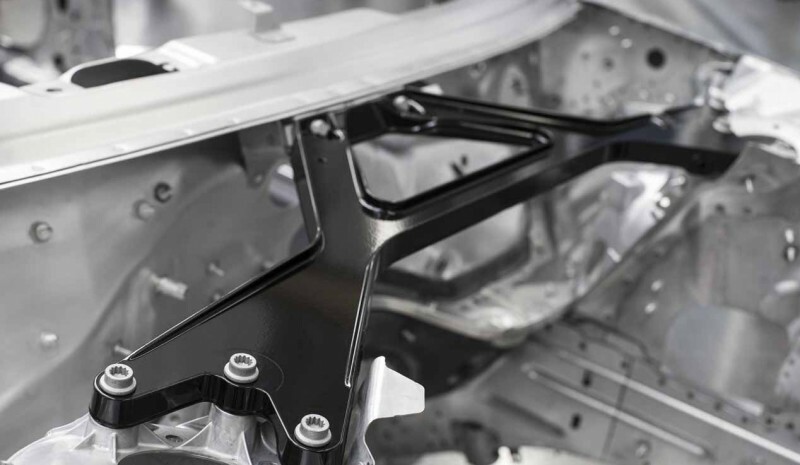 With the Audi R8 sports experiences, understand the possibilities of carbon fiber and this is the third material becomes part of the frame of the Audi A8. Minority, only 2.7 kilos, carbon fiber reaches the large series for the panel separating the boot compartment and which is in the same piece as the rear tray. The fourth is magnesium, which it is used for classical piece in charge of attaching turrets suspension as known in racing cars. Ad nauseum we heard that the important thing has been to place the right material in the right place. Audi want to get a comfort never seen. They believe that It is the current requirement of customers. That does not serve sophisticated suspensions or placing insulators, before that you have to get more rigid structure possible. Only then will ensure that the wheel does not reach unwanted vibrations, the body not shake and produce noises, the suspension actually works with the exact angles as designed. To that end stiffness materials have been selected, even if there were to reinvent construction methods. Say they have gotten, and that the future Audi A8 will have a 24 percent stiffer than the current Audi A8, but without specifying a value. Do not just think about shooting without noise, vibration, imperturbable ... old-fashioned. 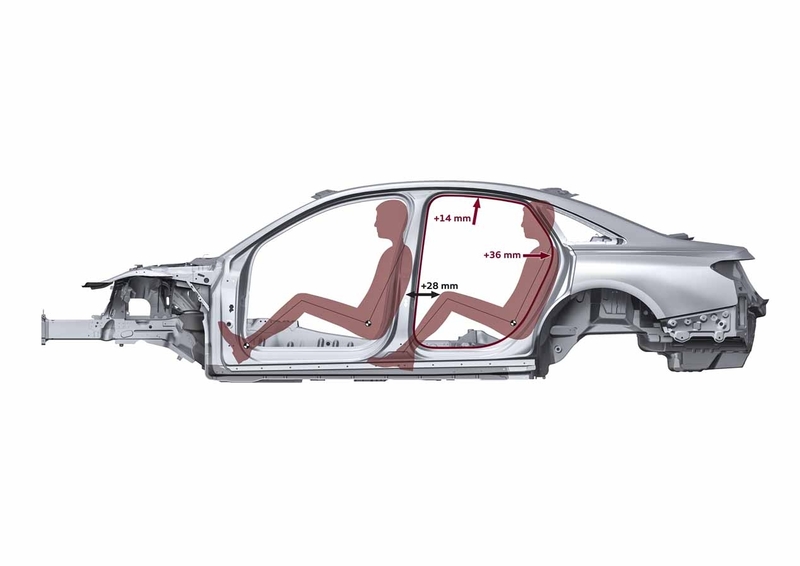 Repeatedly they reminded us of the need for a frame capable of accommodating batteries and protect, because once known the smooth flow of the electric car, the word comfort comes another dimension. The Audi A8 seeks to take advantage of it, but have not revealed what degree. We can suspect, after seeing concepts like the Audi Q8 Sport Concept, which was presented at the Detroit Motor Show. It is important to think that, although they have not spelled out what specific models have manifested themselves all I learned with the Audi A8 will pass to other segments of Audi. This may imply that future models like the Q8, the e-tron, future A6 and A7, for example, have much in common with what we have seen. 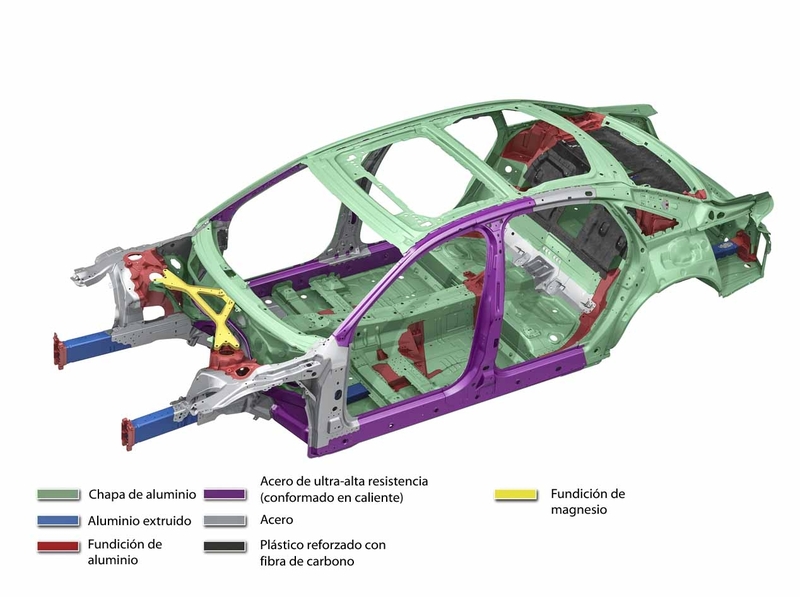 Gluing, screwing, laser welding, rivets, tablocked, etc, no less than Fourteen joining methods in the new Audi A8, a collection of tecnolgías that leaves conventional resistance welding of other cars as marginal. And after all this, with so much effort and new materials, They admit the frame weighing 50 kilos more than before. This can only mean one thing: How much comfort have not gotten the Audi A8, if for it have accepted fatten!